The summer has flown past in the blink of an eye and what an amazing season it has been. it feels like only last week we were organising the grand opening party and here we are coming to the end of the season. 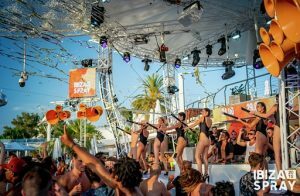 It is safe to say that over the summer, while scrolling through Instagram, it’s only a matter of time before you come across an Ibiza post or an O Beach tag. If you haven’t managed to get yourself over to this amazing little island this summer, then we have some great news for you…….. there’s still time!! One thing that makes us unique is we don’t have just have one closing party, we have Eleven! 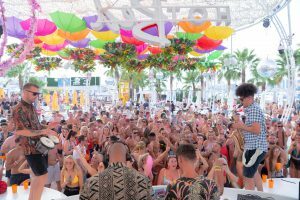 We have already hosted the closings for House in Paradise, Boat Club and Sin Sundays, but we still have eight incredible closings left so we thought we would ask our staff and DJs to tell us what party they love and why YOU shouldn’t miss the closing. “As staff we always look forward to Mondays as they are one of the busiest days for a very good reason. HedKandi is the day we welcome four amazing live musicians, including a sax player, guitarist, pianist and Violinist. Themusicians make everyone go mad, their sets are really engaging andat some points they get amongst the dancefloor. “Season 2 for HotBed this year has been pretty amazing. The first year was a great start….but this second year has really gone through the (non- existent) roof! The crowd are really enjoying the vocal uplifting disco sounds, which is paired with the amazing sax player and percussionist who own the stage every time they perform. 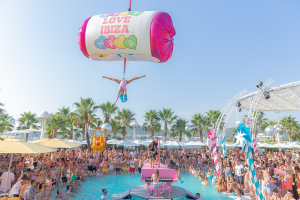 For me O Beach Ibiza is the best outdoor pool venue on the Island so when you combine the Hotbed sounds along with thefruity, colourful production with dancers dressed like glitzy pineapples, it really works well. “ONE is a great party because people get fully involved singing and dancing all day long. We play music you rarely hear anywhere else on the Island and the venue is beautiful. This party is stripped back and raw, show’s include dance battles around the venue, in which the dancers just freestyle creating an amazing energy, What morecould you ask for? O Beach on a Friday is like a little adventure – as soon as you enter the club, the theme is Dreamland and you really do feel like you are walking through a beautifully bizarre dream, there are clouds that light up above the dance floor, along with rainbow inflatables for the pool, and for me the shows are the best of the week. We have the living doll show in which a huge female Jack- in -a – box is craned into the venue and as it pops open there is a wow factor moment involving confetti wind up ballerinas, and there are also another 3 amazing shows like this to enjoy, so no moment is the same. 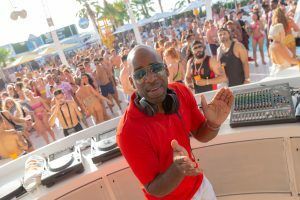 The music is great throughout the day with our resident DJs playing the best summer house tracks that will make you want to dance non- stop. If there is one closing you shouldn’t miss, for me is the one. “Happiness is .. Sunshine and Champagne – that’s why Champagne Spray Closing Party is my favourite party of the season! Perfect way to celebrate the end of the summer in style .. amazing music and entertainment surrounded by plenty of bottles of bubbly! My kinda Heaven on Earth! The grand closing party for me is my favourite closing party, its a day full of mixed emotions as the season comes to a close, involving so much excitement from the season, that all the staff and clients come together to celebrate one last time, one last party. I love the mix of shows and the best bits of summer all in one day. A huge celebration to mark the end of summer and say goodbye until next year.